A lifetime of better health & support right at your convenience. Located right in the Stittsville community, Stittsville Whole Health Pharmacy offers personalized pharmacy services to suit your health and wellness needs. 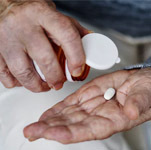 We offer a wide variety of products and services, including: over the counter medications, home healthcare products, nutritional supplements and vitamins, medication assessment appointments, prescription renewals, and more. With over 15 years as a practicing pharmacist, Avish has spent the last 8 years as a “Stittsviller” and loves being the first point of contact for all the people of Stittsville when it comes to their health and wellness needs. Avoid the difficulties of trying to get an appointment at a travel clinic. We collaborate with your family physician to complete all the needed immunizations for your travels to make sure your health is protected. 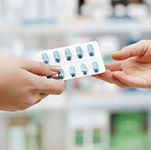 We prepare your medication in weekly, bi-weekly, and four-week packs to ensure you take your medication at the right time and under the right circumstances. We also collaborate with your doctor on refills, appointments, and we provide health and medication management updates every three-months. We provide regular dispensing of acute and chronic medication. We are compression stockings specialist and carry a variety of stockings for your convenience. We provide prescription renewals and vaccines under the expanded scope of practise. Located in the suburb of Stittsville? We can offer you free prescription delivery! The pharmacist, Renu, is very professional and compassionate. I can easily get my prescriptions filled in a timely manner and love visiting him as he goes above and beyond to make me feel taken care of. If he doesn’t have a product or service I may need, he either can refer me to a trusted source or he will take the time to research best options for me. Thank you, Renu!